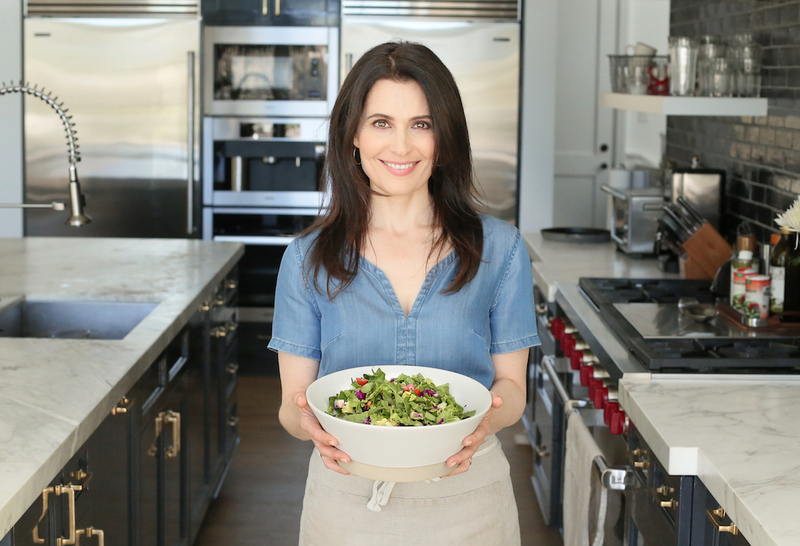 If you are not following Pamela Salzman and making her recipes yet, you are missing out. I have been following Pamela for a long time and have always been blown away by her beautiful food creations and delicious recipes. I was so excited to learn that Pamela would be speaking at The Nutritious Life Masterclass that I was attending in LA last month. It was such a pleasure to hear Pamela’s story and finally meet her in person. As I imagined, she is just as beautiful inside as she is on the outside. 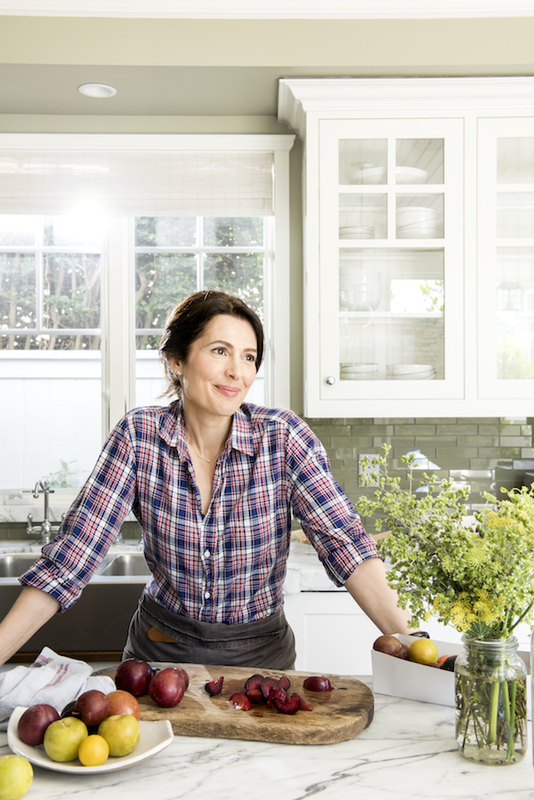 I loved hearing how she went from teaching her friends to cook (years ago), to becoming a professional cooking instructor, to most recently, publishing her first cookbook, Kitchen Matters. I have already made several of the recipes from her book and each has been better the last! I have loved getting to “know” Pamela (isn’t it funny how friendships can be formed on Instagram!) and I am so excited to feature her on LivLight! Hope you’ll read on to learn more about Pamela Salzman and give her Fall Delicata Squash recipe a try, which she was so kind to share with us just in time for Thanksgiving. Make sure to check her out on Instagram @pamelasalzman and on her website www.pamelasalzman.com. Also, you’ll definitely want to purchase a copy of Kitchen Matters for yourself and everyone on your holiday gift list! I am…Pamela Salzman and I am a…mom of three, wife, cooking instructor and holistic health counselor. My alarm goes off at…5:30 am. The first thing I do is…check my email (awful!). My favorite products are…Shiva Rose rose face oil, Beauty Counter charcoal face soap, Kiehl’s musk body spray, Tarte BB tinted moisturizer with SPF. For breakfast I eat…leftovers from dinner, smoothie bowls in the summer, or warm porridge in the winter. My uniform is… jeans, clogs, cotton button down shirt, and a half apron. My go-to workout is…the eliptical machine. My favorite activewear is…Beyond Yoga. Lunch is…whatever I taught in my cooking class that day in whichever kitchen I have taught in. Snack is…rice cake with smashed avocado and everything but the bagel seasoning or apple slices in my homemade date caramel sauce. My version of self-care is…taking extra time getting ready for bed. I turn on my diffuser with lavender, dry brush my skin, and take a hot bath. I drink…warm or hot water. My favorite dinner is…wild salmon, crispy brussels sprouts, and brown rice sauté. Of books, Netflix or Housewives I choose…Netflix. I am sleeping by…10:30 pm after I…make my to-do list for the next day. How did you learn how to cook and what do you recommend for people who are just starting out? I taught myself how to cook by doing it, making mistakes, and reading cookbooks. It’s not as hard as you think. If you can read, you can cook. Just don’t overthink it. It doesn’t have to be perfect. Do you have an personal eating philosophy with regard to your health and wellness? I really don’t avoid any food group per se, just fake food. 80-90% of the time, I eat pretty clean. The rest of the time, I don’t think about it too much and I go with the flow. Listen to your body. That’s Nutrition 101. 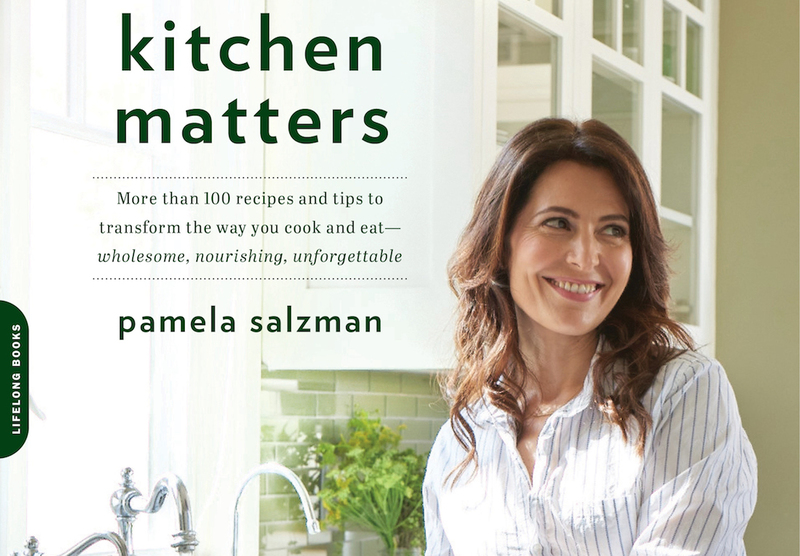 Tell us about you new cookbook, Kitchen Matters! It is so exciting to have my first cookbook published! I am so proud of it because it’s not just a book. It’s a compilation of my favorite recipes from my cooking classes over the last decade plus all the tips and resources that have resonated with my students. Almost all the recipes can be adpated to major dietary restrictions and they are delicious and healthful at the same time. Do you have a favorite recipe you would be willing to share with LivLight Readers? 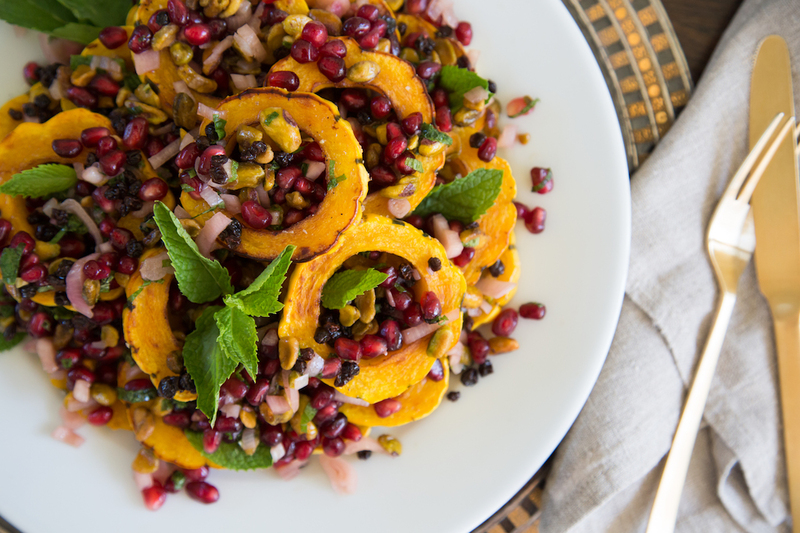 Click here for Pamela’s Roasted Delicata Squash with Pomegranate-Pistachio Relish, the perfect Fall or Thanksgiving recipe!